Update 5/1/18: The Maxton has relaunched on Kickstarter with a lower goal. You can check it out here. 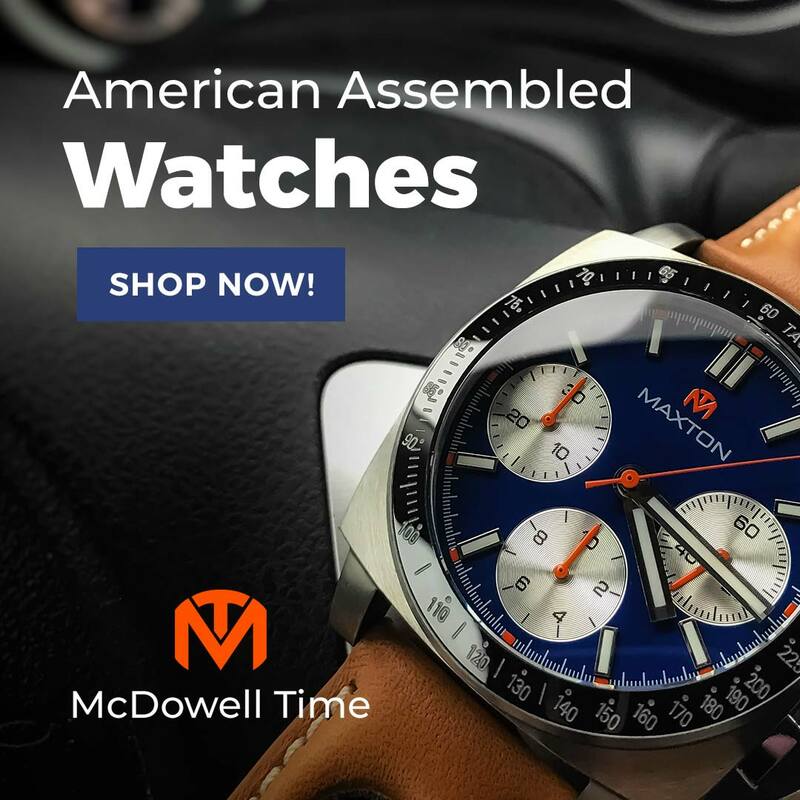 Last April, Bill McDowell of McDowell Time launched the Sonoma on Kickstarter. The sporty, 3-eye chronograph was a promising design, but it failed to fund. Undeterred, he went back to the drawing board and has returned with the Maxton, a new racing chrono that improves upon the original Sonoma concept. Bill loaned me his PVD reverse panda prototype for this review. In addition to being a watch fan, Bill is also a car guy who has been spied tooling about in the 1967 Camaro he restored. That muscle car aesthetic shines through in this watch. There is a certain air of badassery in effect here. Like the Sonoma, the Maxton uses a cushion case that tapers at the corners. Measuring 39mm wide, 48mm long, and 13mm thick, this square-shouldered shape exhibits ample presence while occupying a relatively modest footprint on your wrist. If I recall, one of my issues with the Sonoma was its unadorned bezel that shared the same brushed finish as the case. It struck me as a missed opportunity. With the Maxton, you can consider that opportunity seized. 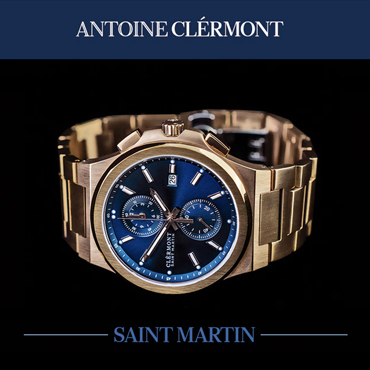 It boasts a glossy ceramic insert with an engraved, and C3 SuperLuminova filled tachymetre index that looks amazing, day or night. Other tasty details include a signed crown and double domed and anti-reflective coated sapphire crystal. Water resistance is 100m. The caseback on this sample still says “Sonoma,” but we can expect the crossed checkered flags will make an appearance on the final Maxton as well. 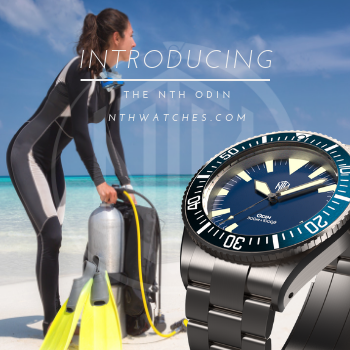 The movement is an IsaSwiss quartz that features a 1/5th-second sweep and firm button engagement. The sample used an 8371C, with displays at 3, 6, and 9 for small seconds, 10 hours, and 30 minutes. Final production models will likely have an 8371D instead, which substitutes a 1/10th second counter for the 10-hour register. This strikes me as an excellent idea. I admittedly have little need to time anything to a 10th of a second, but I could own this watch my whole life and never use an hour timer. Maxtons will be offered in brushed or black PVD coated cases and black, gray, blue, or white dials. All will have orange logos, subdial needles, sweephands, and accents behind their applied and polished hour markers. It is a clean layout. The only text on the dial is the Maxon name, rendered in low, broad caps and tight kerning. The blocky markers stay out of the way of the subdials, avoiding the “cut off” effect you often see on chronographs with Arabic numerals. It is a full dial, but not at all crowded, which allows the big, silver, CD textured registers to dominate its face without affecting readability. The hands are polished, lume filled, and squared off at the tips, repeating the 90-degree angles of the case and markers. 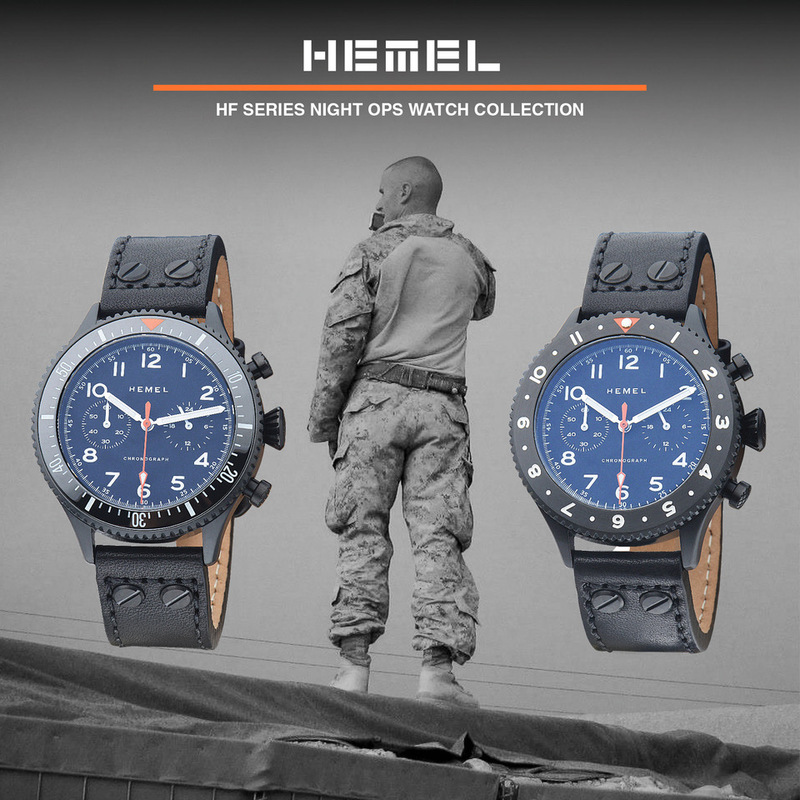 With its lumed hands, markers, and bezel, the nighttime view is a treat. 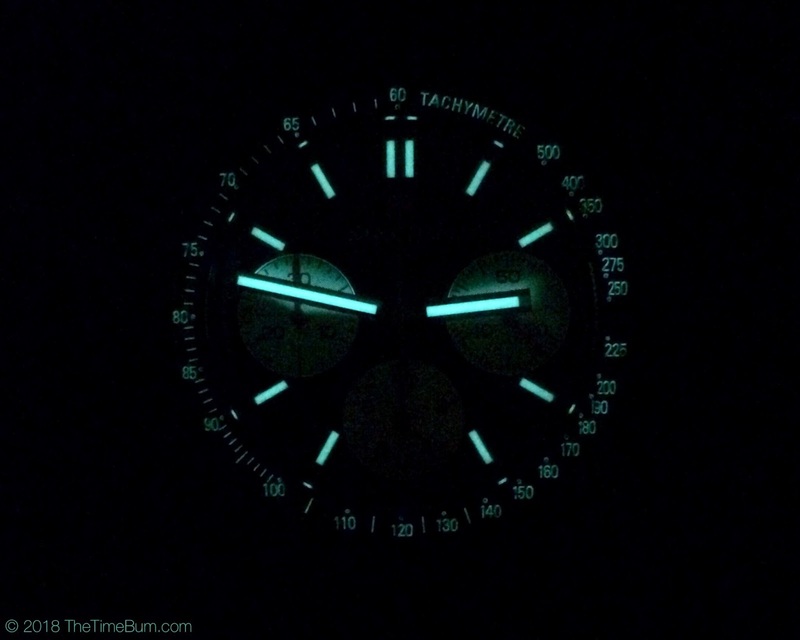 Now, because the second hand has no lume at all, the glowing tachymeter bezel is really just decoration, but let’s be honest, are you really going to use your chronograph in total darkness? The Maxton takes a 22mm strap between its dropped and clipped-ended lugs. Bill has always put as much thought into his straps as he has every other element of his watches and this is no exception. He chose a black, tapered, three-hole rally strap made by B&R Bands from Horween leather, so it looks and feels fantastic.